You know, not everyone is into those games you buy for $100 and then waste several weeks of your life on, and that's OKAY! Welcome to GFTROU aka 'Games For The Rest Of Us' (seriously, if anyone has a better suggestion that has a less ridiculous acronym, I am ALL EARS). I'm going to mainly be checking out iPhone/iPad games, smaller Steam releases and some of the downloadable content from the PSN. I have completed maybe 5 games in my entire life and get bored of things very quickly, so casual gaming is right up my alley. First up this week? 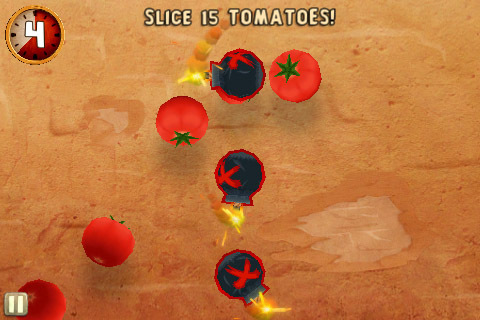 The 'Puss In Boots' Fruit Ninja spin-off from Halfbrick Studios. 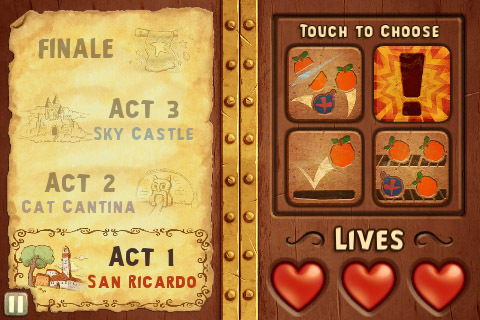 If you've had a iDevice for more than about 10 minutes, there's a good chance you've played Fruit Ninja. 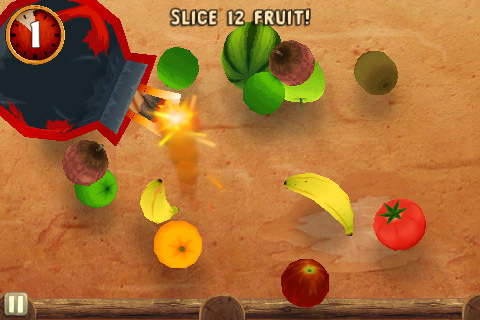 The juicy fruit-slicing game has proved a massive hit with people everywhere since it was first released mid-2010 for its addictive gameplay and satisfyingly squishy sound effects. Now, to coincide with the release of Dreamworks' Puss In Boots, a spin-off game has been released (a spin-off for a spin-off! I KNOW!). The main question people are going to be asking is 'If I've already got Fruit Ninja, is it really worth me buying this one as well?' I never bothered to download any of the Angry Birds re-vamps, so I will admit I was a little hesitant when it came to this one, but I'm really glad I did. This game is GREAT, and I'd border on saying I liked it more than the original game. - I haven't unlocked all the new blades yet, but there's some fun new additions such as the cat claw, the firework, the royal flush, and if you're feeling particularly brutal, the iron shackle. Admittedly blades aren't a MASSIVE selling point for me, but these ones are fun, and a nice tie-in. - Bandito Mode. THIS is the reason this game is a winner. Timed mini games split up into three chapters with your goal being the grand Finale. These are a gigantic amount of fun, and I've spent 90% of my time in this mode. They don't take that long to complete, but you'll find yourself going back for more. - If you don't like having fun, this game could definitely be a problem for you. You could argue that this is just a blatant cash-in, but Halfbrick make brilliant games, so give them ALL the money as far as I'm concerned. To sum up, this game brings enough to the table to prevent it just looking like a lazy addition. The artwork, the soundtrack, and the new Bandito Mode make it well worth the 99c if you were a fan of the original.